Chillingham Castle Firework Display from 6pm to 8pm. Tickets cost £10 for Adults and £5 Children, £25 Family ticket. Where: Chillingham Castle, Chillingham, Northumberland, NE66 5NJ. Phone 01668 215359 or email enquiries@chillingham-castle.com More Information. Alnwick District Round Table Bonfire & Firework Displays from 6.30pm. Tickets cost £5 Adults and £3 Children. Where: Alnwick Rugby Club, Greensfield, Alnwick NE66 1BE. Hexham Round Table Annual Charity Bonfire and Fireworks Display, bonfire from 6.30pm, fireworks at 7pm. Tickets are free, donations for local charities accepted. Where: The Sele, Hexham. More information. Broadway West Fireworks Display & Bonfire from 6pm. Tickets cost Adults £3.00, Children £1.00. Where: Broadway West Playing Fields, Broadway West, Gosforth, Newcastle NE3 2HY. More information. Higham Lakes Firework Display from 4pm, bonfire lit at 5pm. Tickets cost £5 Adults, £2.5 Children (4 - 16 year olds), Under 4's free. Where: Higham Lakes, Ponteland, NE20 0DH. More information. Big Village Bonfire at Ellingham, from 6pm - 9pm, tickets free, sparklers available from The Packhorse Inn. Bonfire Supper £5: Soup, Sausage in a Bun & Homemade Toffee Apple, Homemade Mulled Cider £2 (Half Pint). Where: Ellingham, Northumberland NE67 5HA. Morpeth Rugby Club Bonfire and Fireworks Display from 5pm, fireworks start at 6pm. Where: Morpeth Rugby Club, Mitford Road NE61 1RJ. Ashington Football Club - from 5pm. Tickets cost £3 each (for both children and adults, under 5's free). Where: Ashington Football Club, Woodhorn Lane, Ashington, Northumberland, NE63 9FW. Beal near Holy Island Fireworks Display from 4.30pm, fireworks start at 6.30pm. Tickets cost: Family Ticket: 2 Adults, 3 Children, Under 5's Free - £10.00 (Up to Nov 2nd, £15.00 after), Adult ticket - £4.00 (up to Nov 2nd , and £6.00 after), Child ticket - under 5s free - £2.00 (up to Nov 2nd, and £3.00 after). Where: Beal near Holy Island, phone for Tickets: 01289 540044. More information. Coquetdale Round Table Firework Display from 5pm, fireworks start at 6pm. Tickets £5 per car. Where: Cragside House, Gardens and Estate near Rothbury. Prudhoe Town Football Club Firework Display from 6.30pm. Tickets are free. Where: Kimberley Park, Broomhouse Road, Prudhoe, NE42 5EH. 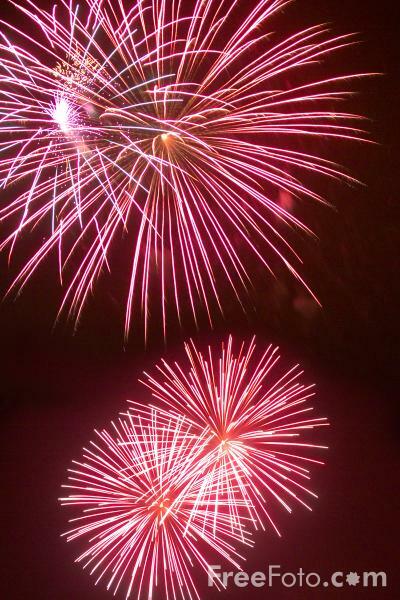 Ulgham Playing Fields Fireworks Display from 6.30pm to 8.30pm. Tickets cost £10 Family, £5 per Adult. Where: Ulgham Playing Fields, Ulgham Lane, Ulgham, Northumberland. Fireworks Party at Acton House from 7pm. Entry is free, BBQ and drinks provided. Where: Acton House, Acton, Felton.